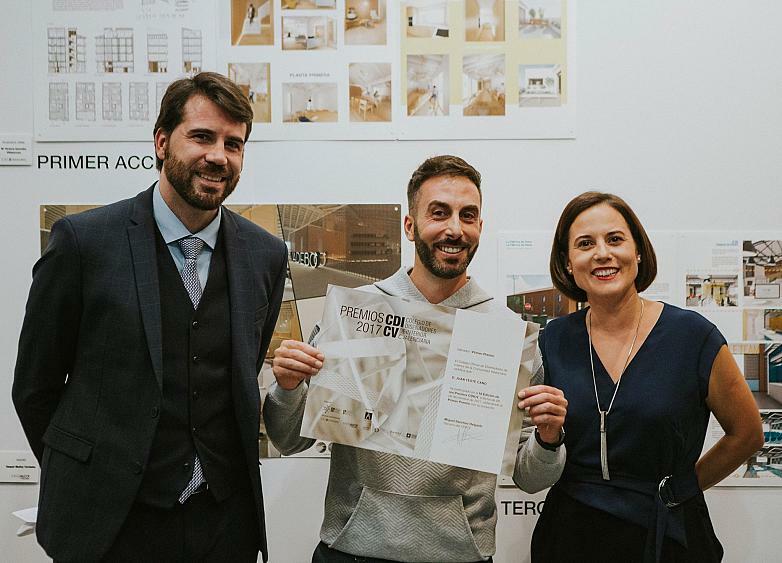 The College of Designers and Interior Designers of the Valencian Region (CDICV) presented its awards for the most outstanding academic projects of the year. Each day society is more aware of the importance of designing spaces. Defining the interior of a home, an office or a hotel makes a difference and at the same time also improves well-being so that people can enjoy the space. In this context, recent graduates have to open up and make themselves known. To exhibit their skills and hope that someone notices them in order to give them an opportunity to work. This leap is never easy, despite the level of new graduates increasing each day. 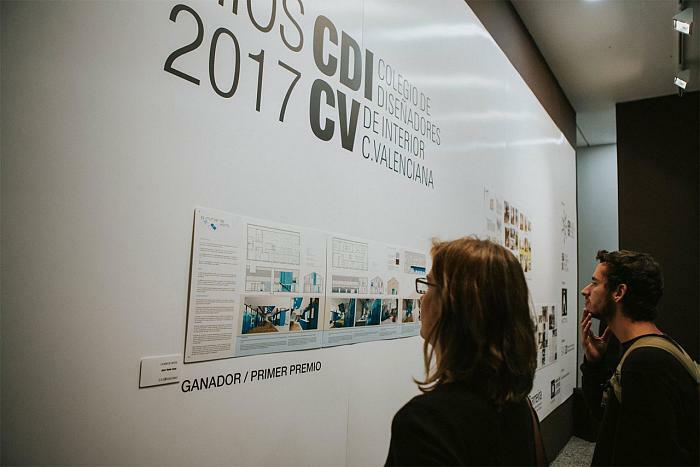 The College of Designers and Interior Designers of the Valencian Region (CDICV) has presented their annual awards to the best Final Projects from the art schools in the Valencian Region with the aim of promoting these young talents and to get discovered. More than twenty projects where not only interior design is important, but also architecture, graphic design applied to spaces and, primarily, resolving people's needs. Flexible solutions based on a professional, business or personal strategy. At the awards, presented at the EASD, Actiu was a sponsor of the event. Juan Yuste is the young winner this year. 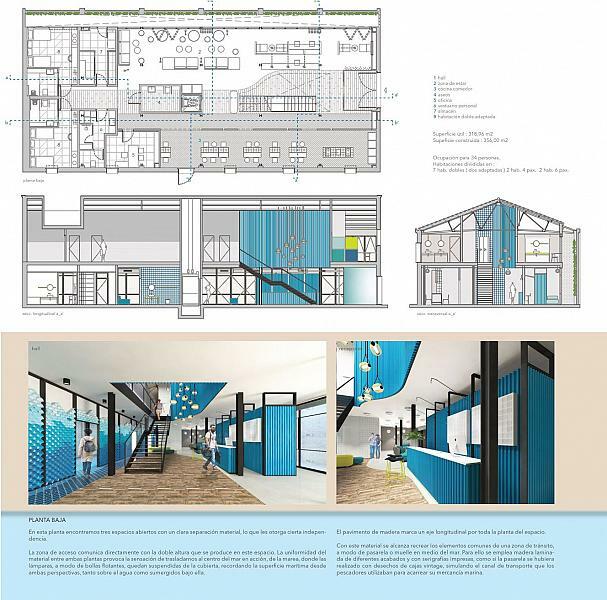 His project "La Mar de Hostel" (The Hostel Sea), managed to unite the panel's criteria by his ability to introduce a concept, a sea wave, into the interior design of this hostel fictitiously located at La Fábrica de Hielo cultural centre, on Playa de la Malva-Rosa in Valencia. "Due to the location of the space, I have tried to work with the typical Mediterranean architecture, with its orientation, forms and materials, using ceramics and wood, as well as a sea wave as a part of its interior", explained the designer. Another three projects were awarded with special mentions, all of the projects entirely conceived spaces for living and working. 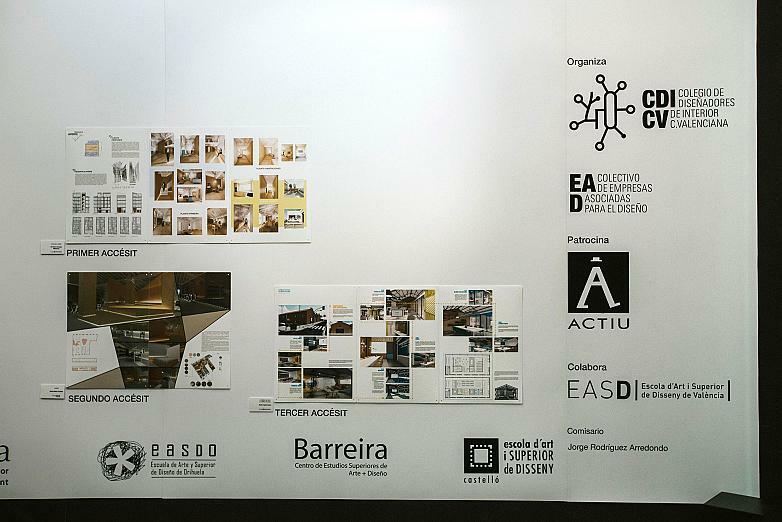 The project from Jorge Rodríquez was also highlighted, last year's winner and architect of the exhibition at EASD. In this respect and during the award ceremony, Soledad Berbegal, Brand Strategy Director, emphasised the role of interior designers as leaders for necessary change: "Society is continually changing, with new ways to consume, engage and work. However, the spaces stay the same. We should evolve them so that they adjust to the new needs of the moment. And you play a key role in this. Take advantage of the fact that your generation is flexible, creative and collaborative in order to remove the foundations of companies and provide all your knowledge to grow and evolve". 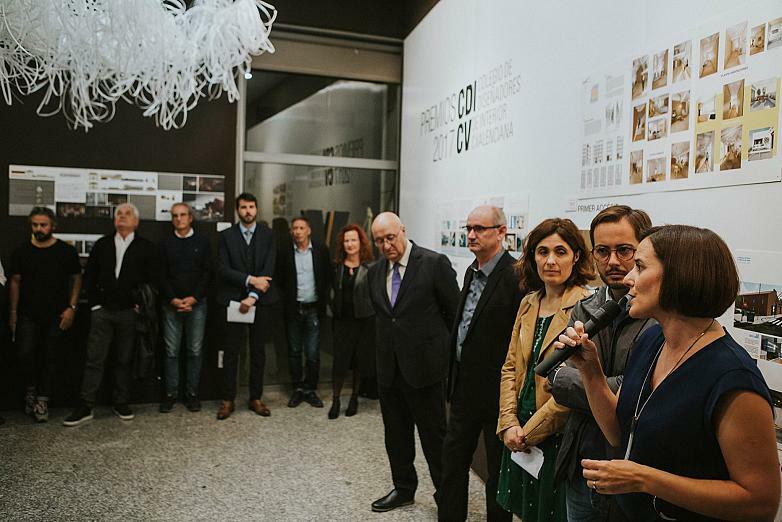 This event helped to place the importance of the great work done in the design schools in the region of Valencia. 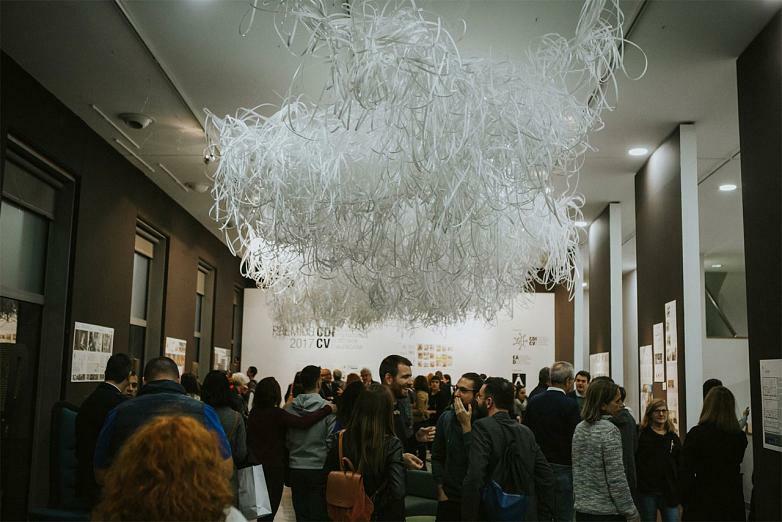 Gustavo Zaragoza, from the President's Office of the Regional Government of Valencia, stated that “interior design goes far beyond aesthetics, it is connected to quality of life and well-being. The growing professionalism of this group lies in the work of design schools that carry the name of the region across the world. We are all proud of this sector which has positioned itself at the cutting-edge without losing its roots and support for the region. More welcoming, more accessible, more committed to the environment and with the people”. “Thanks to the role of design and its professionals in this region, you are contributing to making Valencian creativity a culture. And that is thanks to the generational change, fundamental in strengthening and creating a social and historic vision of those strengths that define us as a society. And in this sense, design is a key differentiating factor”, concluded Josep Manel García Company, Director General of Iseacv.